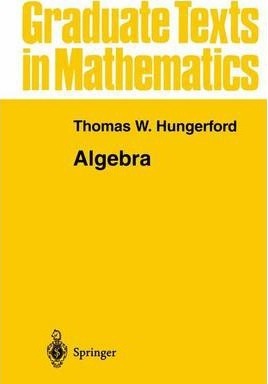 Finally a self-contained, one volume, graduate-level algebra text that is readable by the average graduate student and flexible enough to accommodate a wide variety of instructors and course contents. The guiding principle throughout is that the material should be presented as general as possible, consistent with good pedagogy. Therefore it stresses clarity rather than brevity and contains an extraordinarily large number of illustrative exercises. Illustrations note XXIV, 504 p.